Australia is an exciting and diverse destination for a working holiday and if you are a Registered Nurse / Enrolled Nurse. Nursing in Melbourne offers a vast variety of opportunities for traveling nurses. Work in many nursing specialties is available in a range of public, private and community based health care organisations. The working conditions in the health care facilities are of a high standard. Patient-nurse ratios of 4:1 have been adopted in public hospitals allowing nurses to take time necessary to provide quality care. All the major hospitals and aged care facilities in Melbourne have adopted a "no lift policy" to reduce risk of injury to nursing staff who are constantly required to move and reposition patients. Melbourne Nursing Agency is able to offer varied and interesting work in the Melbourne metropolitan area in both hospitals and aged care settings. With a dedicated recruitment team you can be assured that you will receive the support and information you require to make your trip to Australia a smooth and pleasant one. What is it like to Nurse in Australia? There are large teaching hospitals as well as smaller public facilities and aged care units. There are thousands of private acute hospitals and facilities across the country. Australia has a worldwide reputation for supplying high standards of nursing care. How do I get a visa to work in Australia? The Working Holiday Visa is a popular option for young people aged 18 to 30 and a great way to see Australia and earn some supplementary income during your visit. This visa is available for passport holders from those countries with which Australia has a reciprocal agreement. Working Holiday Makers can travel for twelve months in Australia and work for up to six months with each employer. What is the pay for Registered Nurses in Australia? Nurses are paid according to a relevant Federal Modern Award casual rate based on the number of years of their nursing experience. At the interview, we will advise the rate at which you will be paid after validation of your years of experience has been provided. The Australian Nursing and Midwifery Council are the national nursing body and act as a central assessor for overseas nurses intending to live and work in Australia. The ANMC skills assessment form is for migration purposes only, the application form can be found on their website http://www.anmc.org.au. Completion of this form and payment of an application fee is required for processing of the application to commence. Processing/Assessment times vary according to demand for service. The ANMC endeavour to complete assessments within 6-8 weeks, but at times this can be longer. On receiving your application, the ANMC will send you an email of confirmation. The email will include your received payments and file reference number to be used in all correspondence with the ANMC. If you would like to enquire about the status of your application, please log in via the ANMC website. This site also contains the Code of Conduct, Code of Ethics, and Competency Standards expected of Nurses working in Australia. After application has been made to the Australian Nursing and Midwifery Council, you will need to apply for registration in Australia. The Nursing and Midwifery Board of Australia's role is to register all nurses and midwives, develop standards, codes and guidelines for the nursing and midwifery profession. The board is supported by the Australian Health Practitioner Regulation Agency (AHPRA). AHPRA is the organisation responsible for the registration and accreditation of 10 health professionals across Australia, including nurses and midwives. For overseas registration forms please refer to the Nursing and Midwifery Board website: www.nursingmidwiferyboard.gov.au go to "Forms" and locate the following application form: Application general registration (overseas applicants) – AGOS-04. You must hold a current Australian Authority to Practice as a Registered or Enrolled Nurse. The initial registration process can be lengthy (6 weeks – 4 months) so we suggest that you contact the Nursing and Midwifery Board of Australia as soon as possible to get an application form. It is highly recommended that you register before you arrive in Australia, if you don't have a registration; you won't be able to work. Who is eligible for registration? Training completed outside Australia, excluding New Zealand. If you undertook your initial nurse training/undergraduate degree in any of the following countries you will may be eligible for direct entry onto the Australian nursing board register. Do I need to do an English test as part of my assessment? are considered to have met the standard and therefore do not need to sit an English language test. All other applicants are required to submit evidence of English proficiency. Nurses who have current authority to practice as a registered nurse, midwife or enrolled nurse in New Zealand may be able to apply for recognition with the Australian nursing boards under the Trans Tasman Mutual Recognition Act, 1997 (Commonwealth). This will provide direct entry onto the Australian nursing board register. New Zealand registered nurses and midwives are exempt from providing English proficiency under the Trans Tasman Mutual Recognition Act 1997. Modified (Form A) assessments do not require submission of an English language test. Above information obtained from the Australian Nursing and Midwifery Council on www.anmc.org.au. There is much useful information on the Live In Victoria website sponsored by the Victorian State Government. It can be hard to make professional contacts in a new country. The guide for health practitioners will provide you with links to employment information that will give you a great head start in finding a job, along with additional online information that will help you start your new life in Victoria. 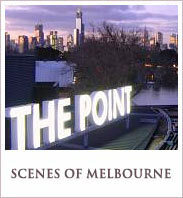 Information on the cost of living in Melbourne page. Useful for people looking to live and work in Melbourne and regional Victoria. Before you can join Melbourne Nursing Agency we need to sight your passport and valid Working Visa. We will need a copy of your current CV, including the names, email addresses and contact details of at least 2 professional referees, including email addresses. Written contemporary clinical references on hospital/health care facility letter head are also required. You will need to provide a Statement of Service so that we can calculate your pay scale. This Statement will show how many hours you have worked at each facility you have been employed. Melbourne Nursing Agency will pay you weekly, directly into a nominated bank account. At the time of interview, you will need to provide us with a BSB (Branch) & Account Number and the name of the account. If you haven't already opened an Australian bank account you will need to take your passport to a bank within 90 days of arriving in order to open an account. Leaving it any later will result in your having to provide 100 points of identification. You will also need to provide the bank with your address details. Some banks will allow you to set up your bank account prior to arriving to Australia. How to apply for an Australian bank account prior to arrival (301 KB, PDF). You will be required to fill in a tax declaration form at your interview. You will need to apply for a Tax File Number from the Australian Taxation Office (ATO). You can complete the application for a tax file number online or alternately, the forms can be obtained from the ATO website: www.ato.gov.au - select 'Forms' from the menu. You will need to provide up to date information on your immunisation status, particularly with regard to Hepatitis B, Varicella (Chicken Pox), Tetanus, Measles/ Mumps/Rubella, Tuberculosis and annual flu vaccine. Because agency nursing allows you to be flexible we need to be able to contact you. We suggest that you invest in a mobile phone, that way we can let you know about work available and shift details as soon as we know them. There are many different phone companies in Australia and it doesn't hurt to shop around to get the best deal to suit you. Many phone companies also offer pre-paid phones deals. Each nurse is required to undergo a national name check (police check) at their own cost. All nurses are required to participate in continuing professional development (CPD), congruent with the requirements of the Health Professionals Registration Act 2005 s18 and keep a CPD portfolio in which CPD activities are documented. This is each nurse's responsibility to maintain currency of CPD activities. Melbourne Nursing Agency is committed to assisting members to keep up to date with the current nursing information. Our in-house education is available to all members. Useful links to assist you in finding a place to live, work and play. By having the above documentation when you arrive in Australia it will facilitate your access to work. If you need any further information or details on how to obtain any of the above requirements please don't hesitate to contact us via phone or email and we will assist you. Let Melbourne Nursing Agency make your working holiday an enjoyable and worthwhile experience. • Interviewing in London 25-26 May 2013, Please contact us before these days. Please visit London Interviews Travel Nursing Jobs for more information and to check when we will be in London or Dublin next.